Home / Uncategories / ROCK AND ROLL MUSIC WORLD MOURNS TOM PETTY AN AMERICAN MUSICIAN. ROCK AND ROLL MUSIC WORLD MOURNS TOM PETTY AN AMERICAN MUSICIAN. The Rock and Roll music industry looses a gem to cardiac arrest. Tom Petty was found unconscious I his home in America but was not able to be revived at the hospital. Many musicians took to their Twitter to pay Tribute to Tom Petty. Among such people are Bryan Adams who Thanked Tom Petty " for all the rockin music". Kiefer Sutherland said Today America lost one of its musical giants. Thank you Tom Petty for all the music. To me you will live forever. Brian Wilson also Twitter, I'm heartbroken to hear about Tom Petty. Tom was a hall of a song writer and record maker, He will be missed by everyone who loves music. In 2002 Tom was inducted into Rock and Roll Hall of Fame. Nelly Agwu remembers Tom Petty with hit songs as "Free Falling, Learning to Fly etc. I will miss your sweet voice. Rest in perfect peace as you sing to the Angels Tom". 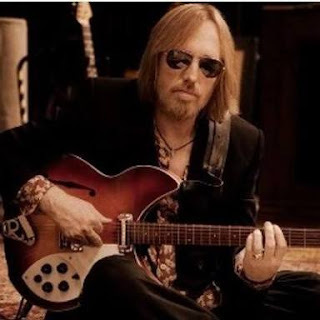 Petty was born in Gainesville, Florida, on 20 October, 1950. He endured a rough childhood, living in poverty with an alcoholic, abusive father - but his life changed in 1961 when he met Elvis Presley and shook his hand. "That was the end of doing anything other than music with my life," he said. He joined two bands at school, The Sundowners and The Epics, before dropping out to play with Mudcrutch, aged 17. After that band broke up, Petty and several of its members formed Tom Petty and the Heartbreakers, releasing their debut album in 1976. Their career was slow to take off, but heavy touring - including a well-received support slot with future E Street Band member Nils Lofgren in the UK - eventually pushed them into the chart. Over the next four decades, they became one of rock's most reliable live acts, doggedly sticking to their no-frills rock template, and producing a stream of radio staples including Don't Come Around Here No More and the Stevie Nicks duet Stop Draggin' My Heart Around. Petty scored solo hits with the platinum-selling albums Full Moon Fever and Wildflowers, while the 1991 album Into The Great Wide Open gave the band a number one single, Learning To Fly. The video for the title track was also in constant rotation on MTV, thanks in no small part to cameos by Johnny Depp, Faye Dunaway and a then-unknown Matt LeBlanc. 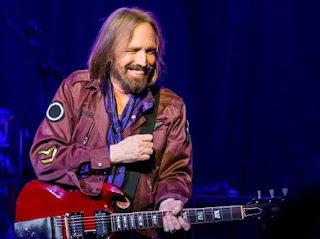 Petty gave his last live shows just a week ago, playing three sold-out dates at the Hollywood Bowl as part of a 40th anniversary tour. Last December, he told Rolling Stone magazine : "I'd be lying if I didn't say I was thinking this might be the last big one. We're all on the backside of our 60s. "I have a granddaughter now I'd like to see as much as I can. I don't want to spend my life on the road."